How Can Students Manage NJ ASK Stress? My daughter began flipping through one of my New Jersey ASK review workbooks. She asked, "When is the NJ ASK test?" When I told her the date, she moaned, "Oh, no! It's almost here! I hate it!" Upon further questioning, I learned the root of her anxiety: "It's so stressful, and it's all the teachers talk about!" I began to wonder, as a parent and teacher, if other children find the test as stressful and anxiety-inducing as my daughter does. I found that I was not the only one who has noticed the growing phenomenon of standardized test anxiety. Do you, as a parent or teacher, treat the test as the be-all and end-all? Do you send the unspoken message that a child is "good" or "bad" depending on his or her performance? If you are honest with yourself, you can work to temper some of your own anxieties and instead promote a positive message – the test, while an important measure of achievement, is just one facet of the total child. Focus on helping children prepare the best they can. Convey the idea that theireffort and hard work will pay off. Needless worry can prove not only to be wasted energy, but also could have an adverse effect on overall performance. Some studies have shown that undue amounts of stress can lead to negative side effects, including sleep disturbances, lack of appetite, and even temporary memory loss! Just knowing that you care and understand can lessen anxious feelings. On the other hand, if you dismiss or minimize your child's concerns, he or she may feel ignored or abnormal for experiencing these emotions. Sometimes, discussing the worst-case scenario can actually help allay a child's worries. If, for instance, your child fears that doing poorly on the test will lead to retention, you can easily put your child at ease with the message that this will not happen. Sometimes a child fears the unknown, but once he or she understands what really will or will not happen, the worries disappear! Do whatever you can to give your child a sense of efficacy. This can take many forms: assist your son or daughter with test-taking strategies, work through practice problems, help the child understand the directions (especially the vocabulary), and focus on your child's academic strengths. If you feel that this falls outside your comfort zone, consider practice books and/or tutoring to build your child's skill set. With increased confidence, your son or daughter will feel ready and able to tackle the test! If you have focused on content standards throughout the year, you can rest assured that you have already been preparing your students. 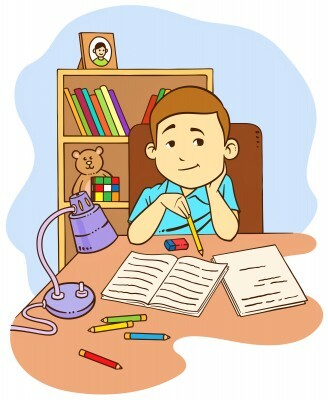 In the months prior to the test, help build independence in children by giving them directions similar to the test, familiarize them with the vocabulary and format of the assessment, and give them opportunities to practice problems in a timed format. All of these measures will ease a child's fear of the unknown and build test-taking confidence. A good breakfast, plenty of rest, and exercise to release excess energy are tried-and-true ways to help students, especially in the days and weeks leading up to the test. Deep breathing is one simple way to reduce stress, as is tightening and then relaxing tense muscles in the body. Both of these techniques can be done any time and any place (even during the test!). Be sure to teach children these techniques in advance and provide plenty of practice time. Then, when the "big day" rolls around, relaxation techniques will be second nature. Have you found other ways to help children manage their stress? Let us know which tips and tricks have worked best for your children and students. By working together, we can all help students manage their tensions and succeed on the test! 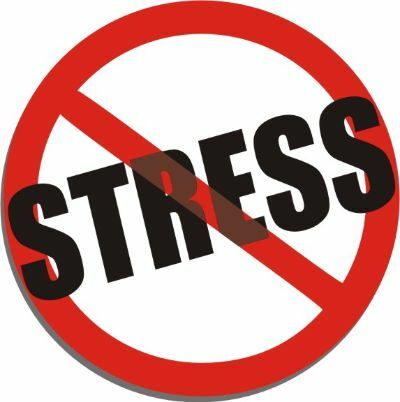 Do your children and/or students complain about NJ ASK stress? What tips from this list have worked for your children and students? Please share your experiences on our Facebook page!